FACT Gives helping hand to AIDS Foundation of Houston. Huge thanks to you and Fact Bucks County for your donation of $1,600.00 in support of our Hurricane Harvey relief efforts. The storm dumped more than 50 inches of rain in some areas of Houston causing catastrophic flooding throughout our wonderful city. Fortunately, our housing programs suffered only minor damage. Your gift is helping to cover repairs to these facilities. We are, however, also receiving numerous requests from people living with HIV/AIDS who have been displaced from their homes and are seeking medicine, housing, food, and other basic needs. Your gift is helping to purchase and distribute food through AFH’s Stone Soup food pantry, provide emergency housing for current and new clients, and to link people to medical care and shelter. We have also set up a computer resource center that anyone affected by the storm can use to apply for FEMA assistance, Food Stamps (SNAP), Social Security or other mainstream benefits, and to find and apply for jobs. 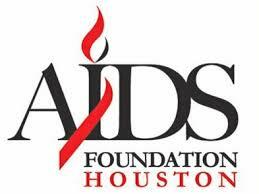 AIDS Foundation Houston continues to coordinate with the City of Houston, the Coalition for the Homeless, and the Houston Food Bank to provide safe housing, food pantry services, and other support services to people living with HIV/AIDS in Houston as we recover from the hurricane. Your recent donation is helping fund these critical post-storm operations.